For those of us who live in Calgary, we live on Treaty 7 land, home to Tsuu T'ina Nation. As well as the Blackfoot Nations of Blood Tribe (Kainai Nation), Piikani Nation, and Siksika Nation, and the Stoney-Nakoda Nations of Bearspaw First Nation, Chiniki First Nation, and Wesley First Nation. I grew up on Treaty 8 territory, in Fort McMurray, Alberta. Growing up there, it was pretty easy to buy products from the indigenous people and communities that live in and around Fort McMurray. There were some well known people in the area that were (and presumably still are) the go to for buying indigenous made products. Now that I live in Calgary, I don't personally know the go-to people, but it is still relatively easy to find indigenous made products in the city. 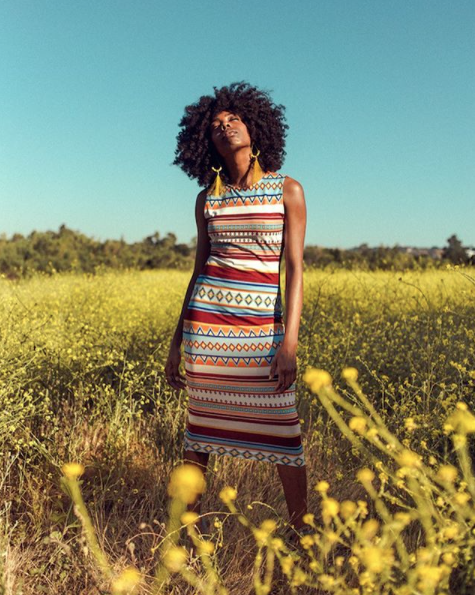 Alongside a push to buy fair trade, organic, local, and from small businesses, there is also a a giant movement of buying from POC, which obviously includes indigenous people. The buy black movement is one of the larger social media pushes, encouraging people to #buyblack, an idea that dates back hundreds of years, and was encouraged by black civil rights activists like Marcus Garvey. I haven't seen as big of a push for indigenous made products as much online as I have seen #buyblack. 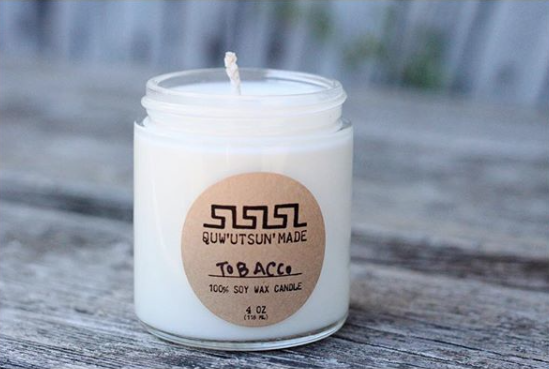 In a world that seems to think its okay to culturally appropriate indigenous cultures, its upsetting to see that there isn't a larger market that actually appreciates indigenous made products, rather than appropriating them. By buying from indigenous people, you are directly supporting POC. You are prioritizing indigenous businesses, and helping grow a business by voting with your dollars. So here are 4 indigenous owned businesses (a very small list, I know, but don't worry, there will be more shared in the future), complied with the help of my wonderful friend Jasmine Dionne. I chose to share these ones in particular, because they were all founded by women. Founder Jenn Harper, created a made in Canada, cruelty-free beauty company that gives back to First Nations communities. Cheekbone Beauty has a goal to establish employment programs for First Nations peoples who want to make a difference for themselves and for future generations of Indigenous communities. Started by Arianna Johnny-Wadsworth, Quw'ustun' Made is a project to preserve the traditional knowledge of her people in order to pass it on to the next generations. She believes that people today will only find true healing by cultivating their sacred relationship with the natural world. Selling fragrances, candles and all things that smell wonderful, this shop is a beautiful collection of items that have clearly been made with love. Founder of @cheekbonebeauty, Jenn Harper. B. YELLOWTAIL is an indigenous clothing line created by designer Bethany Yellowtail, who’s vision and brand values reflect her Apsaalooke (Crow) & Tsetsehestahese & So’taeo’o (Northern Cheyenne) tribal heritage. The store is a collection of many indigenous artists, with the goal of sharing more authentic indigenous art with the world while providing empowering, entrepreneurial initiatives for Native people. SheNative was founded by Devon Fiddler, who had a childhood dream of becoming a designer and some experience with working with indigenous entrepreneurs. 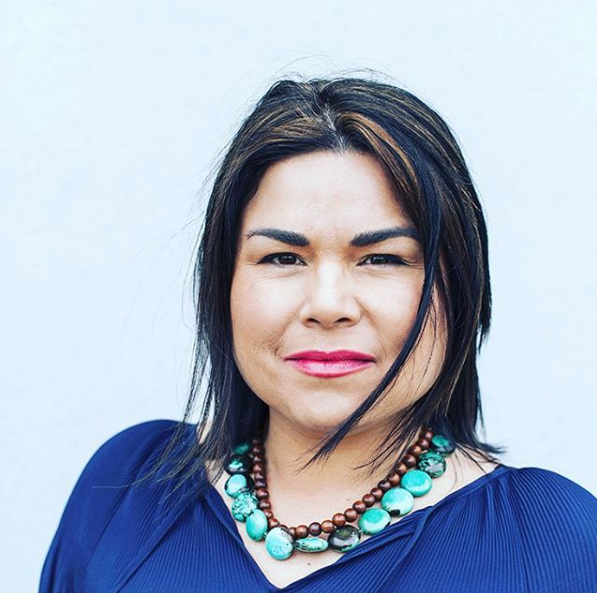 She aims at dispelling the negative stereotypes of indigenous people and women in Canada, and ultimately wants to show other Indigenous women and girls that anything is possible. 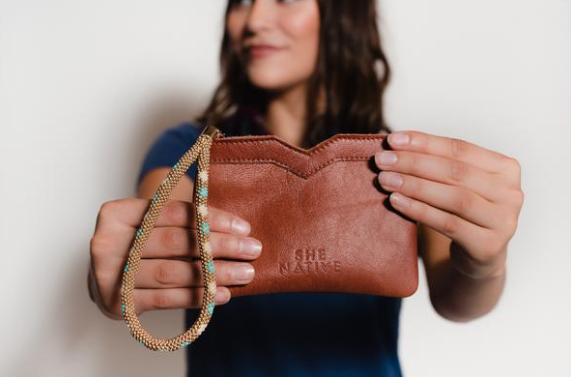 SheNative is a high-end fashion brand about women helping other women, that supports indigenous artisans, designers and businesses through partnerships.